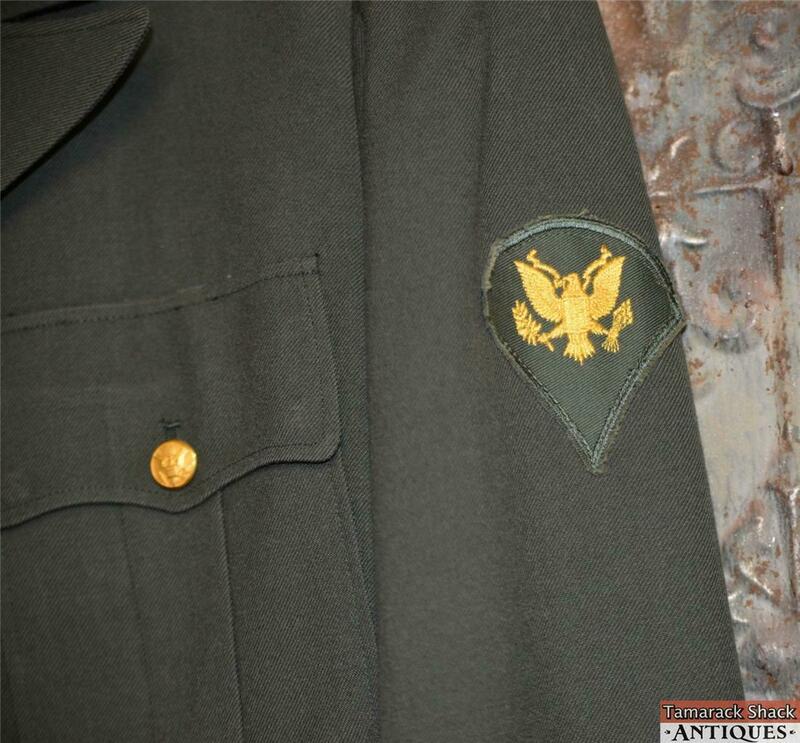 Here is this vintage Army Specialist dress jacket. 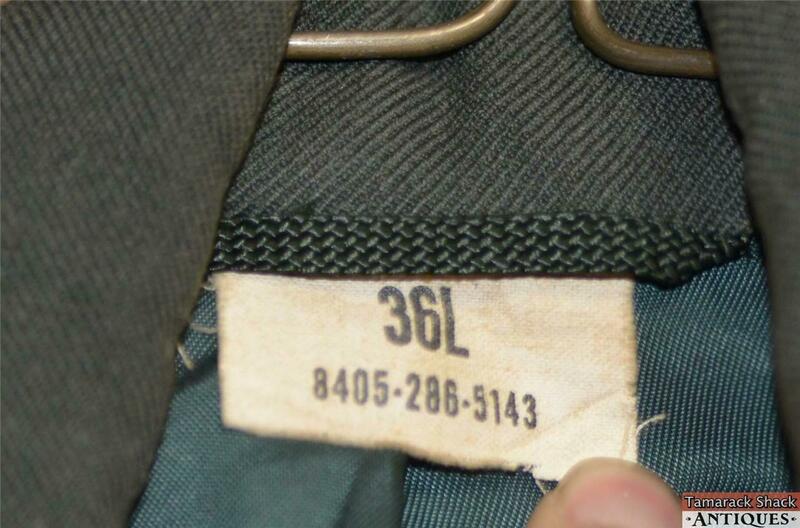 It is marked 36L on the tag. 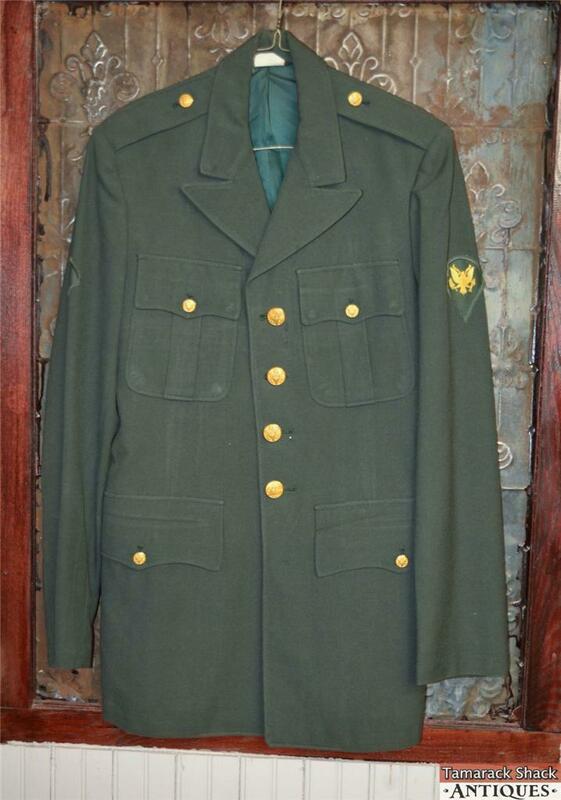 This jacket appears to be in NEARLY MINT vintage condition (Please refer to our VINTAGE APPAREL CONDITION CHART at the bottom of the description). 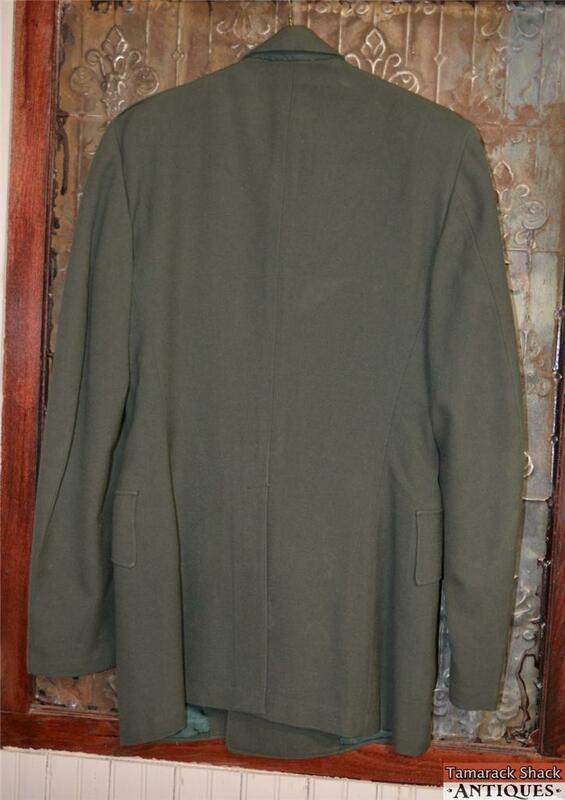 The coat is still holding it’s form well. 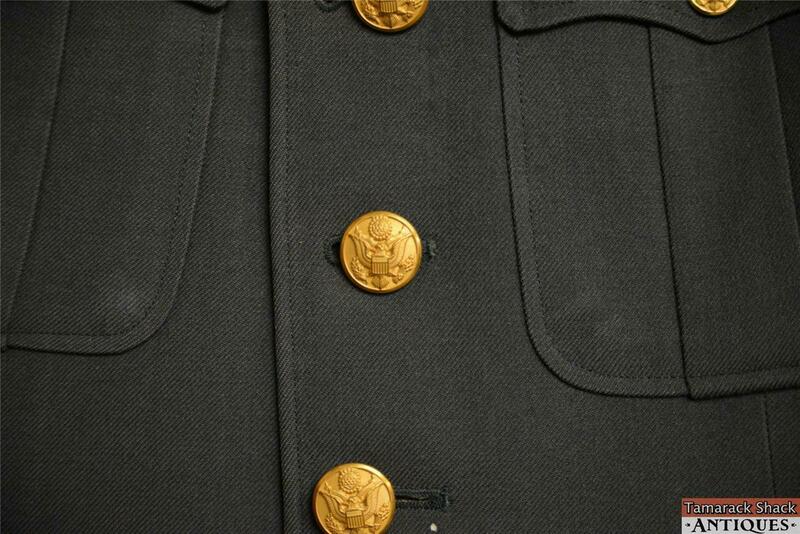 There is a small water stain on the inner sateen lining. There are no holes, stains, snags, tears, or other blemishes noted. There is no musty odor. It should be dry-cleaned.